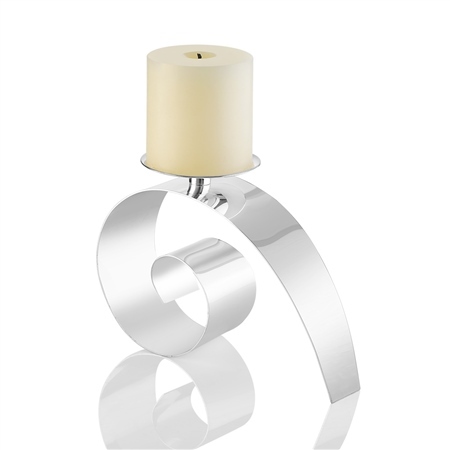 Complete your table setting with this striking piece of home decor, contemporary in design yet simple and sleek this pillar candle holder is the perfect gift for engagement or any occasion. Silver plated swirl design candle holder with a protective anti tarnish layer, presented in a Newbridge Silverware gift box. Place candle holder on protective mat to prevent scratching on surfaces.